If you would like to support Glastonbury and Street Green Party (GSGP) in a very practical way, why not make a donation? This can be done by arranging with your bank or building society to make an electronic transfer to our account by BACS or Faster Payments Service. Please note donations MUST contain ‘Glastonbury Green Party’ (or at least ‘Glastonbury Green’) in the transaction reference field. Since 2009, we’ve steadily and purposefully encroached on the Tory stronghold in our area – gaining seats on Glastonbury Town Council in 2011 and Glastonbury and Street Councils four years later – taking minority control of Glastonbury from the Conservatives in 2015! 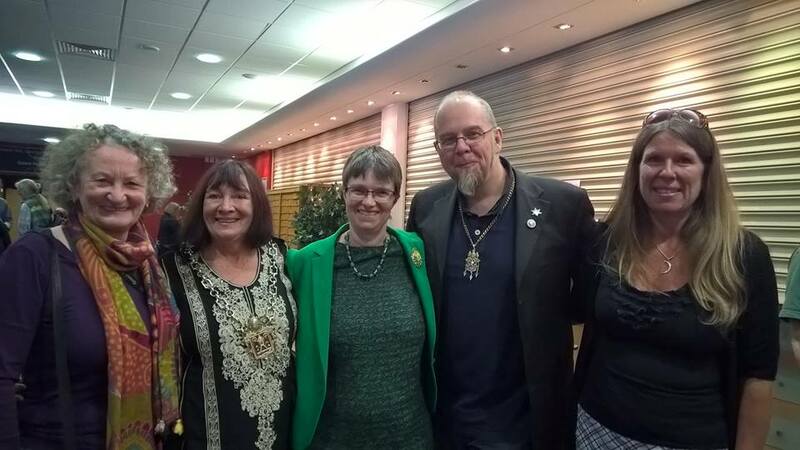 Since then, we’ve consolidated our position, with three successive Green Mayors of Glastonbury – Denise Michell (2015/16), succeeded by Jon Cousins) (2016/17) and Emma George (2017/18) – using our strong position to push the Green agenda; becoming the second anti-fracking council in the UK and the first UK council to ban chemical herbicides; introducing non-toxic weed control in all public spaces and council owned land. In addition, we hosted the public launch of MEP Molly Scott Cato’s ‘The power to transform the South West’ at Glastonbury Town Hall; reinstated Glastonbury’s Fairtrade Town status; instigated Glastonbury’s Neighbourhood Plan; and we’re helping to co-ordinate the re-housing of Syrian refugees in Glastonbury and Street. Jon Cousins stood as our Green candidate in the 2015 General Election, increasing our vote fourfold. In the Mendip District elections, he narrowly missing becoming Glastonbury’s first Green District Councillor by just three votes! 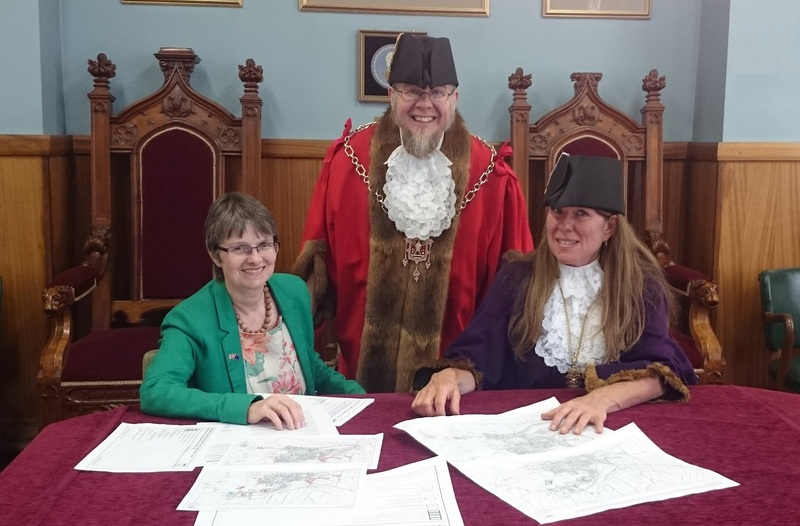 Molly Scott Cato visits Glastonbury Town Council in 2016, with Green Mayor, Jon Cousins and Green Deputy Mayor, Emma George. As Mayor of Glastonbury, Jon was actively working with the Police to foster a multi-agency approach to anti-social behaviour and drug dealing; collaborating with Glastonbury Festival and the BBC to promote Glastonbury town nationally. In addition, he has taken an active role in the Last Bank Standing campaign (an attempt to stop the closure of all Glastonbury’s banks in 2016) and helped to bring a new Nationwide Building Society branch to the town! 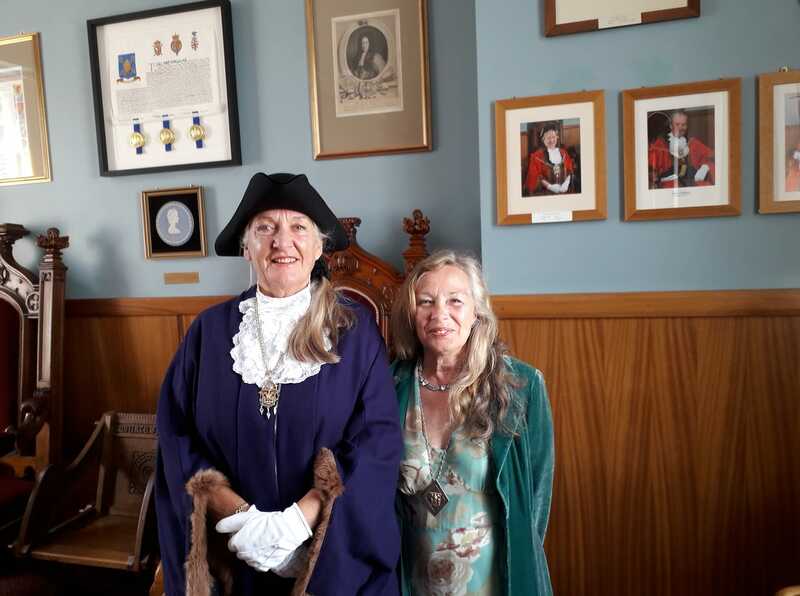 Our strong position and influence on Glastonbury Town Council continues with the election, in May 2018, of Alyson Black as the 4th Green Deputy Mayor of Glastonbury since 2014! By donating even a small amount, you can help GSGP continue to build stronger, safer, more resilient local communities; working for the Common Good in Glastonbury, Street, and the surrounding area. Read about the Green Party vision in our Mini-Manifesto for the 2015 Elections. Glastonbury and Street Green Party. All donations received are subject to the regulations of the Political Parties, Elections and Referendums Act 2000.